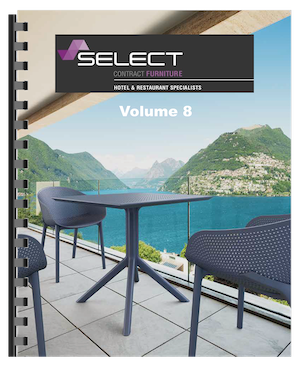 With over 75 years of combined experience, Select Contract Furniture has become an automatic choice for many of the leading hotel operators, interior designers & architects, all of whom specify contract quality furnishings for the hospitality sector. From stunning "front of house" signature chairs to exclusive bedroom ranges and breathtaking soft furnishings, Select will never compromise on quality, yet can still meet demanding budgets and challenging timescales. Our furniture is engineered to withstand the rigours of the market place and is constructed using quality timbers, complemented by contract rated fabrics, carpets and wall coverings. Select are delighted to have completed many successful new build and refurbishment projects. We are happy to share some of these with you below. This recently opened 17 bedroom hotel boasts themed bedrooms featuring a different tartan in each room. 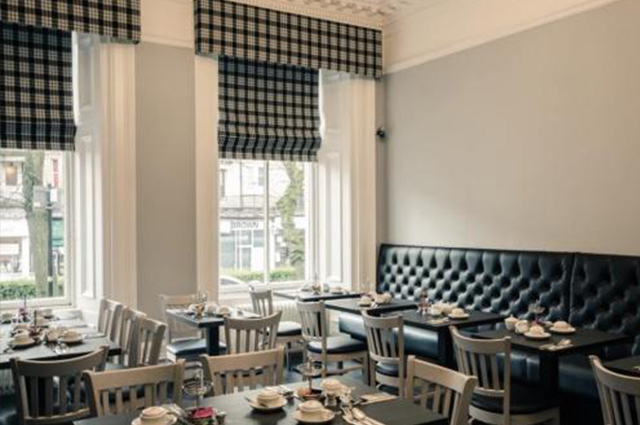 A family run hotel set in a Victorian terrace in Glasgow’s fashionable West End, the styled hotel has a strong Scottish identity providing guests with traditional Scottish hospitality. Just 13 miles from Scotland’s capital Edinburgh, in the heart of Livingston, D luxe Hotel now has 20 striking boutique style bedrooms, tastefully refurbished by Select in conjunction with the client requirements. Blythswood Square is an award winning 5 star hotel. Not only does it have 100 stunning guest rooms, but it also houses an amazing spa, restaurant, bar and private event areas. Select were extremely proud to have been involved in the furnishing of this Prestigeous Glasgow city centre hotel. Select provide a free estimating and measuring service for all aspects of our work. We also offer attractive payment plans over 2, 3, 4 and 5 years to facilitate refurbishment without the need for instant financial outlay. Head of security, Morti, taking a well earned rest on one of our luxury beds, after a hard day’s graft. Please click on the logo above to find out more about our acclaimed hotel beds. If you so desire, we would be delighted to tell you all about our beds and baffle you with science and specification. Suffice to say that we supply a range of top quality beds to hotels nationwide, manufactured to our own specification - and to suit varying requirements - with stunning results. Shown below are just a few of the masses of regular complementary emails we receive from satisfied guests who have experienced a comfortable, restful and blissful night on a Select bed. Select Contract Furniture have over 60 years of combined commercial flooring experience and offer an extensive range of carpeting, floor vinyls and timber effect options. Within our in-house design library, we have arguably Scotland's best selection of floor coverings on offer. Heading our team is May Jenkinson, one of the UK's leading flooring experts. May was in fact Britain's very first female carpet fitter, therefore she understands the industry literally from the ground upwards! Within our vast range of samples and with expert advice on hand, Select will ensure that the correct product for the specific environment is specified. We also offer a free measuring and estimating service for our clients. When your budget will not stretch to new or you already have the perfect seating but just need the upholstery renewed or repaired, Select Contract Furniture specialise in the re-upholstery and refurbishment of bench seating, booth seating, banquette seating, chairs, sofas and stools. All work is carried out by our skilled upholsterers using high quality foams and fabrics all meeting the compliant fire regulations. With many years of experience in commercial upholstery we can often work with you to minimise any inconvenience or disruption to your business by working around your trading hours. We also have many years of experience in the manufacture and installation of custom fixed seating, from small bars, restaurants and clubs to major hotel and restaurant groups. We also work with some of the leading interior designers and builders to help create the perfect environment for their clients. All of our banquet seating is custom made in the workshop by skilled frame makers and upholsterers, enabling us to manufacture from drawings and design specifications, or we can work with you to develop your own design. We have some sample seating options in our showroom to start the process. A multitude of sofa & chair options from the Select product portfolio are available in literally thousands of fabric options from our extensive fabric library. Many items can be manufactured in any dimensions to suit specific requirements and with additional options that include contrast piping, numerous wood stain leg shades or even metal legs. Founded 1990, Mobitec is a Belgian family company specialising in the production of high quality chairs, armchairs and tables. Mobitec is considered to be the most important manufacturer of chairs in Belgium and employs around 500 people. A major strength is their in-house dedicated design team who systematically follow and instigate innovative design trends enabling cutting edge production. With one eye always on seating comfort and durability, Mobitec are industry leaders in the contract seating industry. 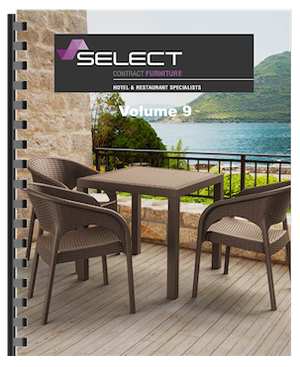 Select Contract Furniture are delighted to be unveiled as the Scottish distributors for this stunning range of furniture, specifically aimed at the hotel and restaurant market. Select will have a selection of Mobitec products on display within our vast showroom facility, including an open section chair showing the internal support system and fillings epitomizing the superior product quality and finish. Select Contract Furniture has been designing and manufacturing quality soft furnishings for the hotel, leisure and healthcare sectors for many years. From the initial choice of fabric and production of sample designs, right through to delivery and full installation, Select is an essential partner in creating a quality design that your guests and clients will appreciate, admire and enjoy. As an established soft furnishing contractor we know how important quality is to our clients and are proud of our reputation. As a bespoke manufacturer, every item is designed and produced to clients’ exact specifications. Curtains can be finished with a variety of headings including pencil pleat, pinch pleats, eyelets and goblet headings. We are happy to assist and advise on fabric choices and our highly acclaimed and extensive fabric library is widely used by clients and designers. Our skilled curtain and blind installers have many years of industry experience. We promote long-term relationships with our customers and have completed installations for many well known names over a period of many years. We would welcome the opportunity to discuss your project. Please call or email us if you require help or want to take advantage of our free estimating and measuring service.